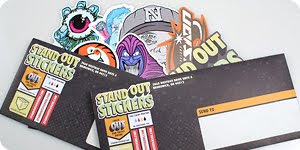 Stand Out Stickers it offering a FREE sticker kit. They are a little out there, but my family loves that. they'll be great for my fiance and his band! Just CLICK HERE to fill out the form and you'll receive your stickers in 7-10 days. Thanks to Hip 2 Save!